DigiTimes reports today that Apple will release next-generation AirPods that include "health monitoring features" in the first half of 2019. The mention appears in an article focusing on how wearables are expected to drive market growth of rigid-flex printed circuit boards (PCBs) in 2019, but the report cites no sources for the AirPods rumor, and only mentions that Tiawan-based PCB makers Zhen Ding Tech and Flexium Interconnect supply components for Apple Watch and AirPods "at the moment." DigiTimes' sources often provide reliable information, but the site has a mixed track record when it comes to interpreting that information and accurately deciphering Apple's plans. The news site receives a flood of data from the Asian supply chain, some of which it claims pertains to prototypes or test products that never make it to market or change significantly before launch, skewing its accuracy. With that in mind, and without corroborating sources, DigiTimes could be referring to a prediction from well-connected Apple analyst Ming-Chi Kuo that new AirPods with a wireless charging case would debut late in the fourth quarter of 2018 or early in the first quarter of 2019. Kuo later clarified that report to say that he expects new wireless AirPods in early 2019. Listings for New AirPods were added to the Bluetooth Special Interest Group's regulatory database in November, suggesting a refreshed version of the accessory could well be coming soon. No new features are listed, but upcoming AirPods in the database do support the Bluetooth 5.0 specification, compared to Bluetooth 4.0 in the prior-generation AirPods. Apple is also said working on third-generation AirPods that are set to be released in 2020 with a new design and perhaps improved water resistance that will allow the AirPods to hold up to "splashes of water and rain." The AirPods aren't likely to be entirely water resistant, however, and won't be able to be submerged in liquid. These third-generation AirPods are also rumored to include noise cancellation features and increase the distance that AirPods can be listened to away from an iPhone or iPad. AirPods are such a near perfect product so a second gen is an instant buy! I'll be gaff taping that charging light though... yuck. Or: AirPods are such a near perfect product so I don't need to upgrade at all! At least, that's the case for me most likely. Airpods is one product which needs no changing at all feature and functionality wise. The health monitoring and water resistance is nice and all... but I really don't want to pay extra for all of that. Just give me increased battery life, and I am a happy camper. After 1.5 years, I still get excellent battery life. And I use them a LOT on a daily basis. 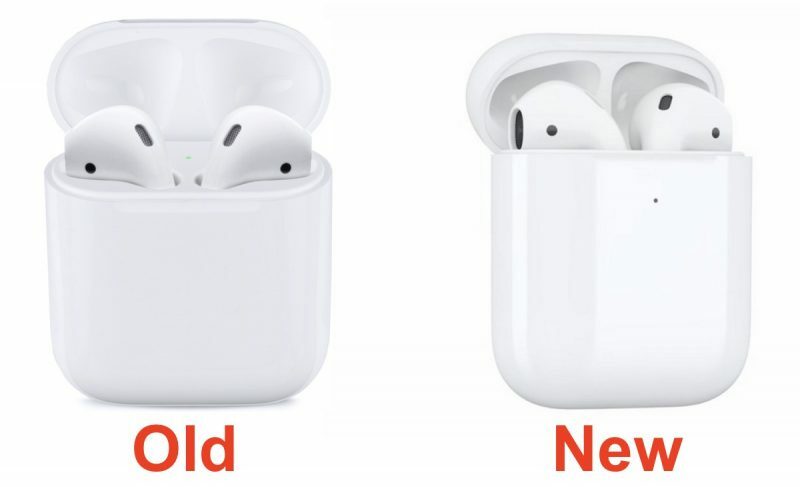 I am hoping that they will release a version that sit IN the ear as EarPods / AirPods just fall out or have to be rammed in and become really uncomfortable very quickly. I must have odd shaped ears, but the silicone in ear types work waaaaay better for me. Just to be clear: both EarPods and AirPods, or have you only tried EarPods? I experienced significant differences between the two. I also found a massive difference. I thought AirPods were just wireless EarPods. They are much better than I was expecting. Is that the same "first half of 2019" that the AirPower will be released or some other "first half of 2019"? It will include health monitoring features? Does that mean it will include a warning when you're about to blow your top off? I thought it would only feature wireless charging.